Walking along Kioroshi Highway to the north-east, and turning to the left after a few minutes passing through Funabashi Hoden Station, climbing up the stone steps, there opens the site of Kontosan Shogyoji Temple. 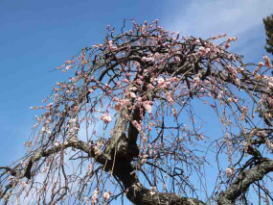 The small hill Shogyoji standing is covered with woods and the drooping cherry blossoms bloom over the main hall of the temple in spring. 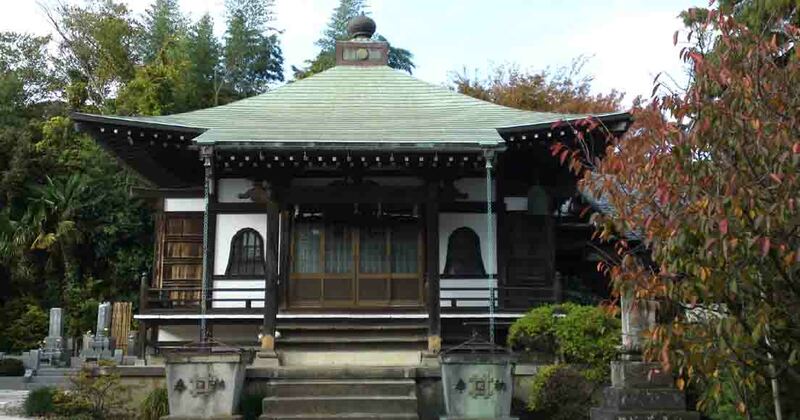 Shogyoji Temple was built in Kamakura period by Sho Ami, a Buddhist monk praying to Amitabha, lately became a devout believer in Nichiren, the founder of Nichiren Sect actively having worked his mission in the period, Sho Ami changed his name Shudaibo Nichisho. 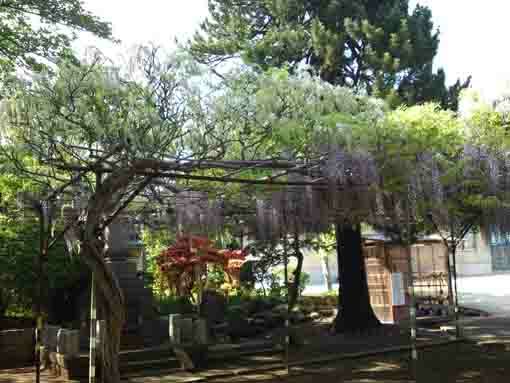 The former head temple of Shogyoji　Temple is Nakayama Hokekyoji Temple. And Nichisho was the first monk beating drums while chanting 'Nan-myo-ho-ren-ge-kyo' as the title of the Lotus Sutra in Japanese, then Shogyoji is also named 'the scared place of the drums'. 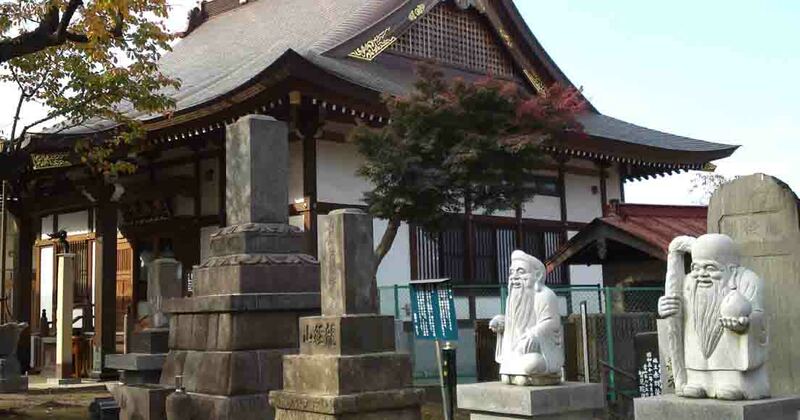 Shogyoji Temple also dedicates the wooden statue of Nichiren carved by his disciple Nippo, registered as the cultural asset by Ichikawa City. 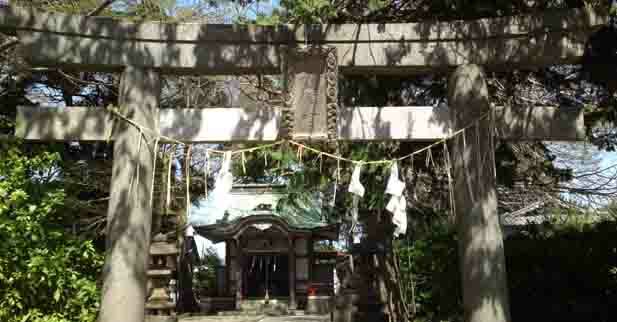 Moreover Shogyoji Temple is related to the story of Chushingura or Ako Roshi (The Forty-Seven Ronins). 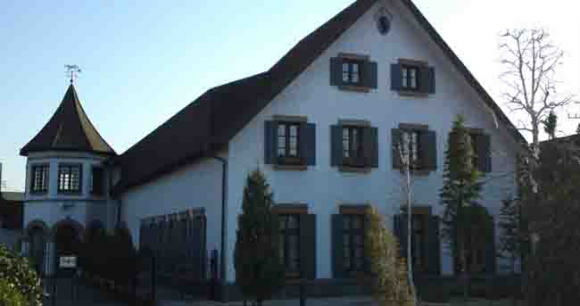 Yosobei Kajikawa who stopped Naganori Asano attacking to Yoshinaka Kira with his sord at Matsu no roka corrido in Edojo Castle managed Kashiwai-cho where Shogyoji Temple stood, then Shogyji Temple saved Yosobei's Kamishimo Jacket (a ceremonial clothing for samurai) and his grandparents' tombs. 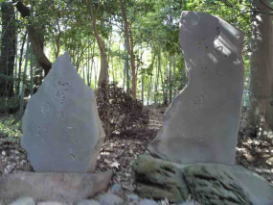 There are two stones with haikus written by Oto Takeda and Sansetsu inscribed on, the 'nyonin (woman) zuka mound dedicated the spirit of a woman and the tombstone 'myo ko ho ko rei shin' inscribed on dedicated the spirits of a couple of raccoon dogs. 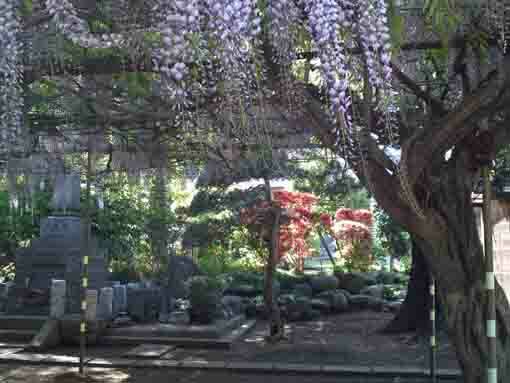 The area around Shogyoji Temple now standing was called 'Imashimada' when it was built in Kencho 6th (1254) by the Sho Ami, a Buddhist monk praying to Amitabha, became a devout believer in Nichiren and his disciple, lately Nichiren named him Shudaibo Nissho. 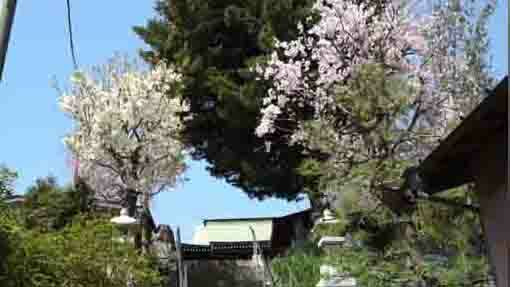 This is said to be the origin of Kontosan Shogyoji Temple. Nissho got Nichren's approval to beat a drum while chanting Daimoku Shogyo 'Nan-myo-ho-ren-ge-kyo' as the title of the Lotus Sutra in Japanese instead of thrwoing his bell and drum away, it was the first time to use the drum, then Shogyoji Temple is called 'the scared place of the drums' and there remains 'The Mound Of His Bell And Drum' in the site of the temple. 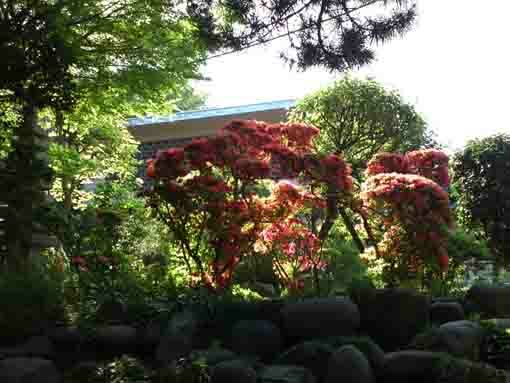 Besides the statue of the Founder Nichiren in Shogyoji Temple was made by Nippo, one of Nichiren's disciple. Its figure is general Nichiren's image taking shoulder-worn robe with the scroll of Lotus Sutras on his left hand and a scepter on his right. Its height is 38 cm tall, the width of its shoulders is 24 cm, and the width of the bottom is 45 cm long. The statue was constructed by assembling pieces of wood with crystal eyes, so it was carved very simple but it was very lifelike portrait sculpture. In September 18th of 1961, this statue of The Founder Nichiren is registered as the tangible cultural property of Ichikawa City and entitled 'The Seated Statue Of Nichiren'. This sculpture had reconstructed 4 times as in 1499, 1690, 1941 and 1994. 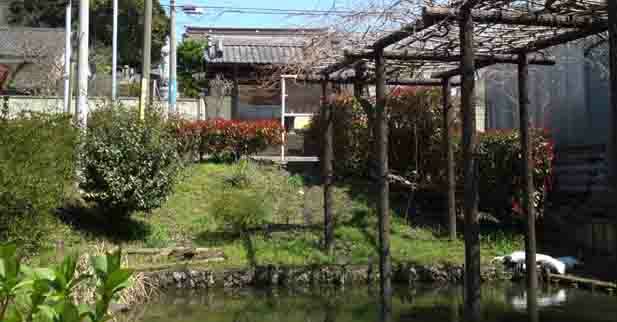 By the way, Kashiwai where Shogyoji standing was the estate of Yosobei Kajikawa famous in Chushingura or Ako Roshi (The Forty-Seven Ronins) by 1700. 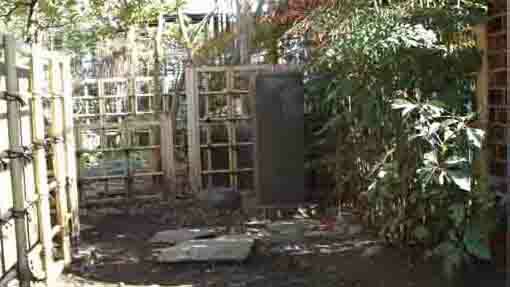 There is his grandparents' mound in the site, and Shogyoji Temple preserves his mementoes. 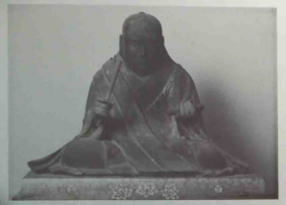 The Seated Statue of the Founder Nichiren in Shogyoji Temple was made by Nippo, one of Nichiren's disciple. Its figure is general Nichiren's image taking shoulder-worn robe with the scroll of Lotus Sutras on his left hand and a scepter on his right. Its height is 38 cm tall, the width of its shoulders is 24 cm, and the width of the bottom is 45 cm long. The statue was constructed by assembling pieces of wood with crystal eyes, so it was carved very simple but it was very lifelike portrait sculpture. The head and the body could be carved separately and the both hands and the scepter were made when the statue were repairing in Showa era. Though the years of production are unknown, the statue stores fixed parts with the age 'Meio 8th' (1499) with sumi writing. 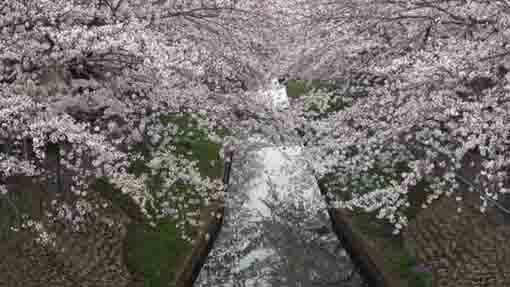 It might be made before Muromachi period, and also it was carved by Nippo one of Nichiren's disciple. The Seated Statue Of Nichiren is preserved in Ikegami Honmonji in Tokyo was also carved by Nippo with signature of him and the age Sho-ou 1st (1228). The sculpture in Shogyoji Temple was adopted similar method to Honmonji 's lifelike portrait one. It was repaired from November 7th of Meio 8th of the snake year. Keeping Buddhism forever and spreading throughout world. There are the letter on the fixing board written Eiroku 3rd(1690), old hands, wrists and scepter kept in the body of the sculpture. In March 14th of Genroku 14th (1701), Naganori Asano, Takumi no Kami, attacked at Yoshinaka Kira Kozuke no suke, the leading person of the highly historic families in Tokugawa Shogunate, with his sword at the Matsu no roka corridor (a corridor surrounded pictures of pine trees) in Edojo Castle. However Takumi no Kami couldn't kill Kozuke no suke since Yosobei Kajikawa stopped Takumi no Kami to fight against Kozuke no Suke. 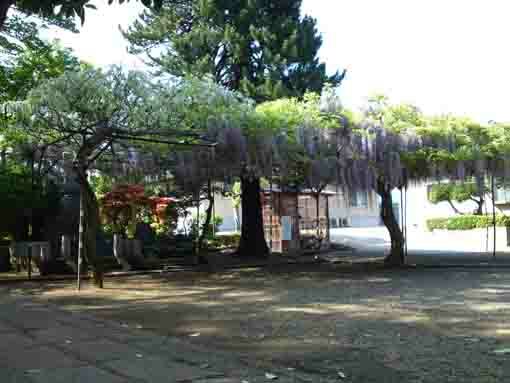 Yosobei had his estate in land Kashiwai where Shogyoji Temple stands, and he was the patron of the temple. Now the result of the incident of bloodshed at Edojo Castle, Asano Takumi no Kami was sentenced to death so he had to kill himself with his sword (seppuku) as he had violated the law that nobody could draw his sword in Edojo Castle, so it had forbidden by the law. On the other hand, Kira, Kozuke no Suke, acquitted as he had not drew the sword. 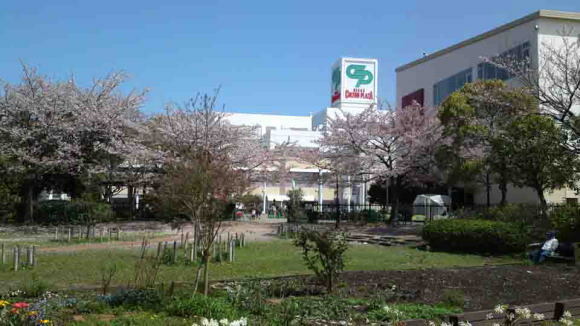 And also Yosobei Kajikawa received rewards (gained some estate) as he had kept the law at the incident. Later, the Forty-Seven Ronins succeeded their revenge on their master's enemy, Kira Kozuke no Suke at the raid into his mansion, but they were also sentenced to death by seppuku as the revenge was banned. 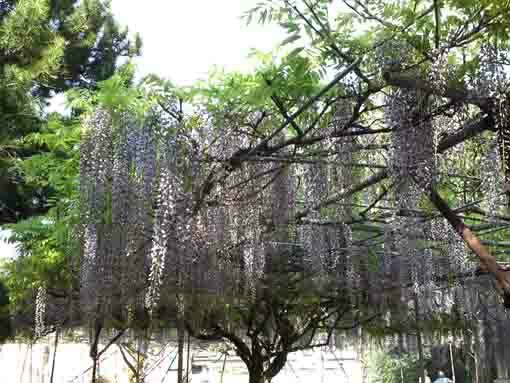 However people living in Edo were impressed much sympathy then they praised them as heroes. On the contrary, Kira Kozuke no Suke and Yosobei Kajikawa could be the evil fellows. 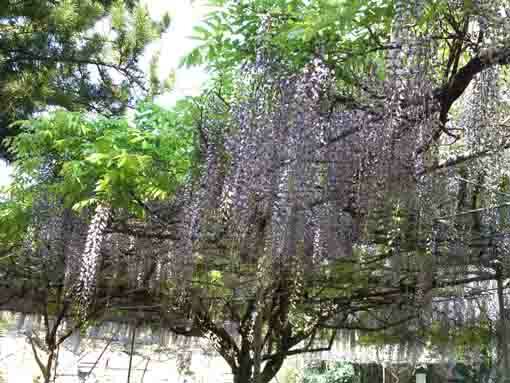 Specially, Yosobei would be treated as if he had been to blame as it might be that he had gained much reward. 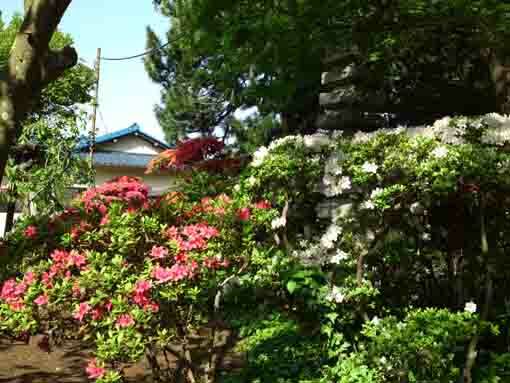 Finally, Yosobei's grandson threw out their family status of samurai and their estates including the land in Kashiwai. 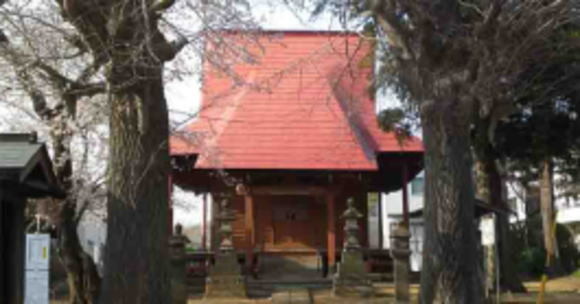 Shogyji Temple saved Yosobei's Kamishimo Jacket (a ceremonial clothing for samurai) and his grandparents' tombs. 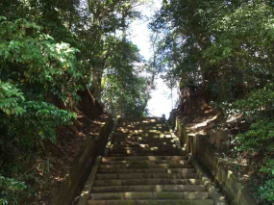 In addition, the stone steps of the temple has a legend associated to Chushingura or Ako Roshi (The Forty-Seven Ronins). 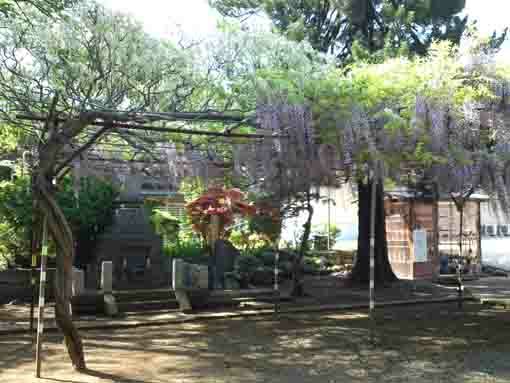 Behind the cheerfully dramatic story of it, there are some tragedies in Sogyoji Temple at Kashiwai now. 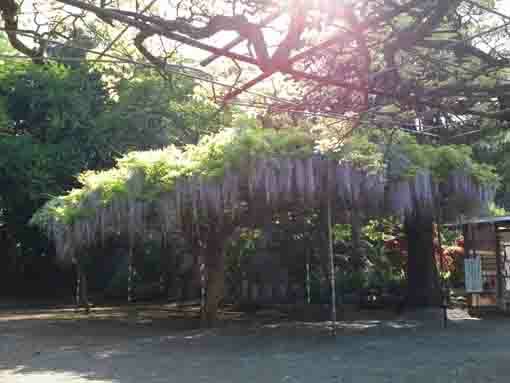 Climbing on the top of the stone steps of Kontosan Shogyoji Temple, there is a large wisteria trellis in the open space in front of the main hall. 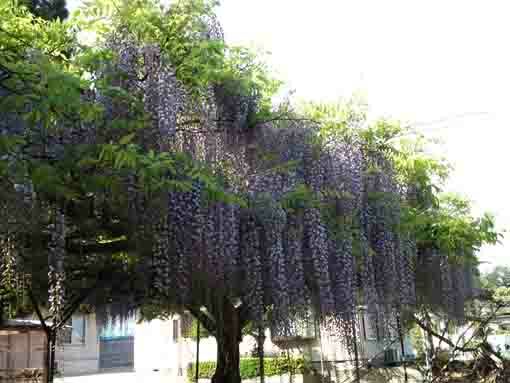 Shogyoji Temple is one of the best viewing spots of wisteria flowers in Ichikawa city. 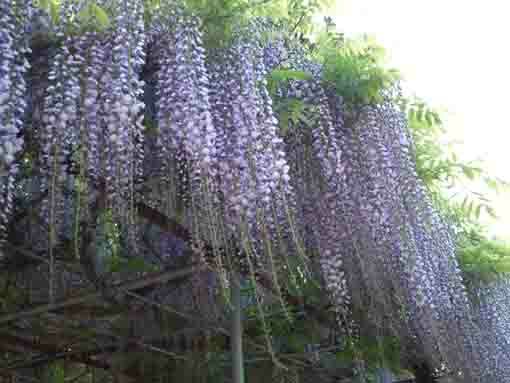 Early summer, violet and white flowers bloom on the trellis and visitors could enjoy seeing them. 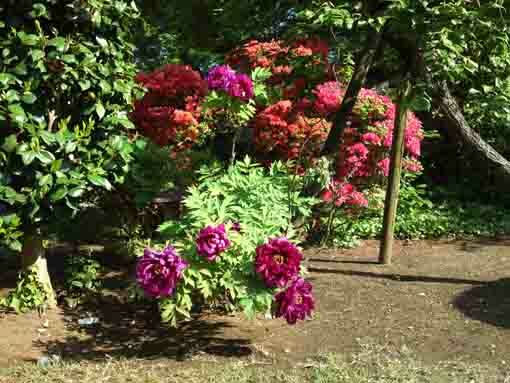 Behind the trellis, many azaleas and peonies bloom in the garden in front of the main hall. 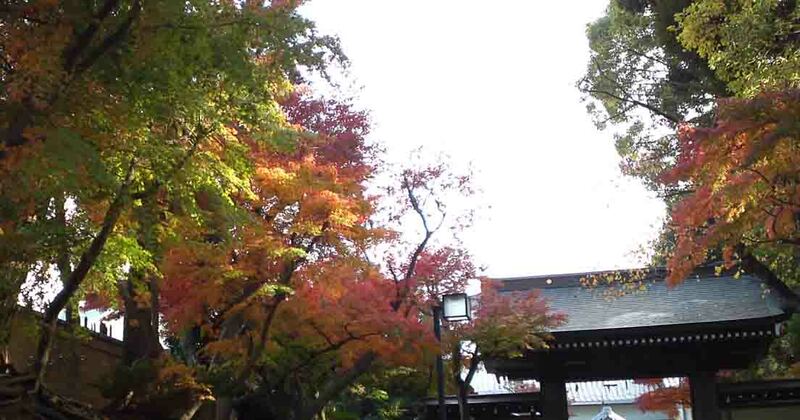 Shogyji Temple has a great accessibility from both Narita and Haneda International Airport. 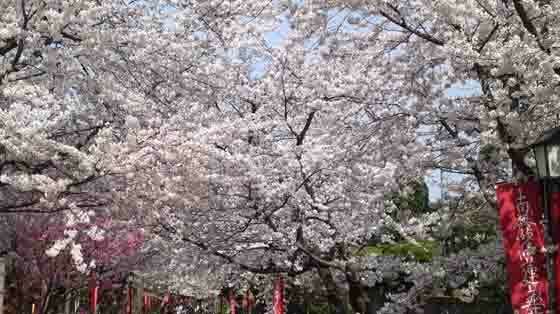 Take 10 minute walk from Funabashi Hoten Sta.